Away from the stereotypical definition of style, Blenders Pride Reserve Collection curated an evening amalgamating style with substance. A voice which has etched out a niche for himself in Bollywood, Rahul Bose mesmerized the audience with his unconventional idea of style that is born out of conviction. Sustaining the euphoria and the mood for the evening, Karakura Ensemble strung together a symphony paying ode to style which permeates the soul of the city. Blenders Pride Reserve Collection crafted an evening exclusively for the palate with a desire for the exquisite. Beyond glitz and glamour, the evening was infused with substance and unique self-expression for a definition of style that represents sophistication and hand-crafted details that only a connoisseur can bring to his craft. 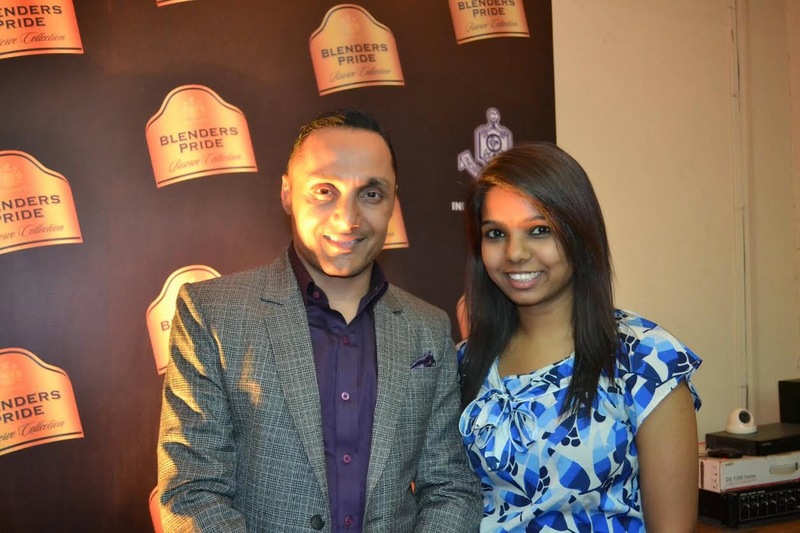 Rahul Bose, a personality with multiple facets, elaborated on his expression of style saying, "Style is a unique identity that reflects the persona of one’s inner self which goes beyond the visible and Blenders Pride Reserve Collection brings this to the fore completely. My style is the relationship that I have with myself which outlines my personality. In my career path, I have divulged into diametrically opposite professions and discovered myself in the process. My voyage from a sportsperson to a man in-front of and behind-the camera and then starting my own non-profit foundation, defines me - I choose to call it my personal style. I feel extremely fortunate to be a part of Blenders Pride Reserve Collection, where I can redefine the stereotypical notion attached with style and go beyond the usual"
Karakura Ensemble combines soaring folk vocals with the beat of the world percussion creating a pacy rhythm which forms the vibe of the band. A talk with Rahul Bose revealed his sense of style and the impact of style in individual's life.